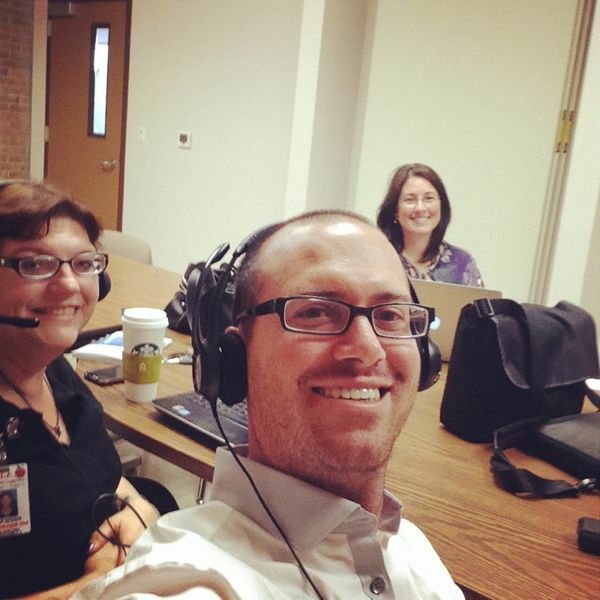 Day 168: Hosting a webinar selfie! Right after school today, we hosted a webinar as part of an assistant principal training on integrating technology into our jobs. Several assistant principals, from schools all over the district, logged in and we shared what we had learned from our most recent readings of the assigned book. I look forward to our next webinar, but also our final meeting, which will be in person. Sometimes there's just no replacement for real human interaction!